The draft Haj Policy 2018-22 was submitted to Union Minority Affairs Minister Mukhtar Abbas Naqvi on Saturday. Abolishing subsidy for Haj pilgrims and allowing women above 45 to travel in a group of at least four without a male member are some of the key highlights of a proposed Haj policy drafted by a committee appointed by the Centre, sources said. The proposed Haj Policy 2018-22 by the panel headed by former secretary Afzal Amanullah also recommends bringing down the number of embarkation points (EPs) from which pilgrims can take flights to Saudi Arabia from the present 21 to nine. The draft was submitted to Union Minority Affairs Minister Mukhtar Abbas Naqvi here today. Naqvi said the next Haj pilgrimage will be in line with the new policy, which he described as "better, transparent and one ensuring safety of pilgrims". Sources in the minority affairs ministry said the policy has been drafted in light of a 2012 Supreme Court order asking the Centre to abolish the Haj subsidy gradually by 2022. Referring to that Naqvi said, "The Supreme Court decision clearly talked about abolishing the subsidy. We are trying our best to see that after abolition of the Haj subsidy, the poor pilgrims are burdened least." A ministry source said, "The highlight of the policy is abolishing the subsidy. Besides, it proposes another major reform -- of allowing women aged above 45 to undertake journey without male Mehram in a group of four." Till now, women pilgrims could not travel without a male Mehram. The term Mehram refers to a male a woman cannot marry at anytime in her life (i.e. father, brother or son etc). Women aged below 45, however, will have to be accompanied by male Mehrams, according to the policy. It proposes to increase the quota for Mehrams from 200 to 500. The cut in funds meant for subsidy will be used for educational empowerment and welfare of Muslims, the source said. The policy suggests sending pilgrims by ship, relatively less expensive than flights. The policy says the Saudi government will be consulted regarding Haj travel by ship and thereafter floating an EOI (expression of interest) to gauge the market for such travel. The committee also suggested formally ascertaining willingness of Saudi Arabia to the proposal of transportation of pilgrims by ship for the pilgrimage. Also, it said, the security concerns that are present, particularly regarding Somalian piracy and instability in Yemen and adjacent areas need to be factored in. According to the policy, the nine EPs will be Delhi, Lucknow, Kolkata, Ahmedabad, Mumbai, Chennai, Hyderabad, Bengaluru and Cochin. It also proposes to build suitable Haj houses at these EPs "to which states and districts will be tagged properly". "EPs are being reduced keeping in mind ship journeys. It proposes inviting global expressions of interest from vessel owners having a capacity of 4,000 plus passengers... Even if 10 such trips are made to Saudi Arabia, 40,000 to 50,000 pilgrims can easily be ferried," the source added. The draft policy also recommended that the Haj Committee of India be exempted from income tax, goods and services tax (GST) and other local taxes. The air charter services provided for the benefit of pilgrims too should be exempted from service tax/GST. The proposed policy aims at rationalising distribution of the Haj quota between the Haj Committee of India and private tour operators in the ratio of 70:30 for the next five years. It also stresses on breaking the cartel of contractors with a transparent bidding process. 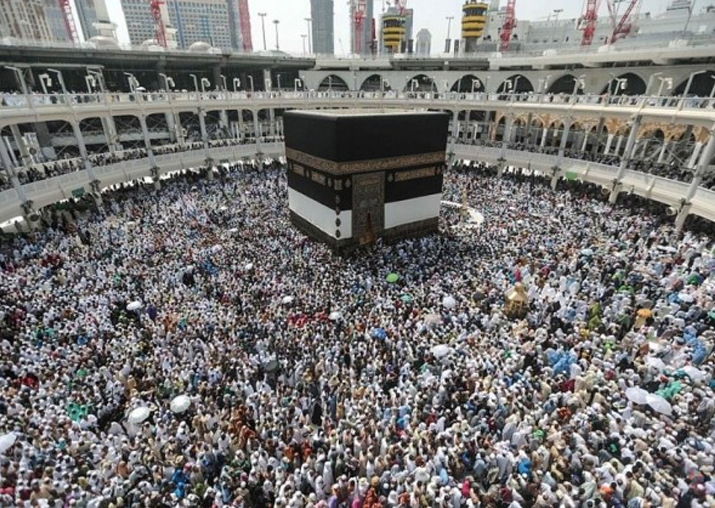 India has an annual Haj quota of 1.70 lakh devotees. The policy also proposes to ensure the stay of all Indian Haj pilgrims in Saudi Arabia within Mina. Sources said the report will be examined in the ministry and shared with all concerned for implementation of the accepted recommendations from Haj 2018 onwards.